You do not need to consult your doctor: the sound of your jaw hitting the floor while watching Ray Dennis Steckler’s Rat Pfink A Boo Boo (1966) is perfectly natural. Even the title’s origin is enough to numb you, from head to toe, in disbelief. The original title was supposed to be Rat Fink and Boo Boo, but in the editing Fink was misspelled Pfink and somehow the ND from AND was left out. With a threadbare budget the producers could not afford to change it, and the misspelled title stuck. 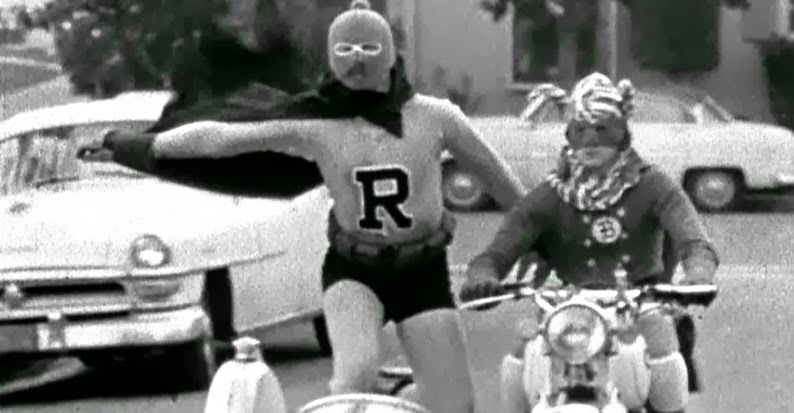 Director Ray Dennis Steckler claimed that the film was shot on a $20.00 budget and that he made it because of his love for the (dreadful) serial, Batman and Robin (1949). I believe him. Remarkably, this was Steckler’s sixth film. 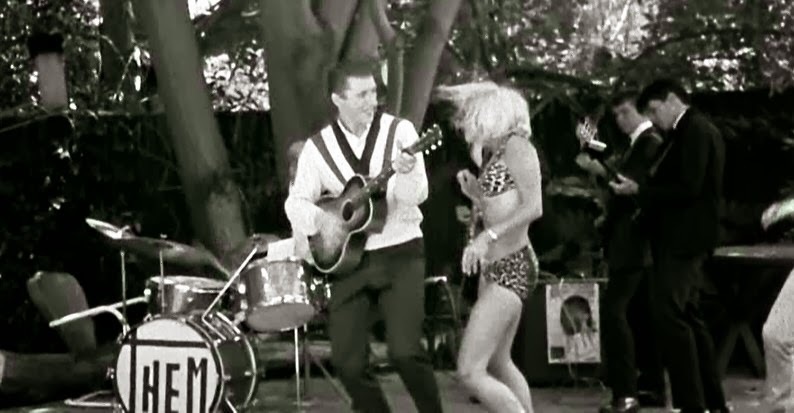 His first was Wild Guitar (1964), which became something of a cult hit despite starring would-be teen idol Arch Hall Jr. (who was cast because daddy produced). For years, The Incredibly Strange Creatures Who Stopped Living and Became Mixed-Up Zombies (1964) was thought to be more legend than actual film. Sinister Cinema dug up a print and released it, I think, before anyone else did. There went the legend. Unfortunately, it’s a dull unimaginative affair about a psycho, with nary a zombie in sight. The Thrill Killers (1964) starred Steckler himself under his pseudonym Cash Flagg (chosen because he made his checks out to cash!) Again, Steckler seemed to put more effort into a name than he did he actual plot. Steckler was Cash again, this time doing a second-rate imitation of the second-rate Bowery Boy Huntz Hall in The Lemon Grove Kids Meet the Monsters (1965). Steckler claimed that he made the film as a kind of fan’s valentine to Hall. One must give him some kind of credit for authentic obsession and affection, even if the finished product was nothing more than a series of loosely assembled shorts, with Cash pitted against the Green Grasshopper and The Vampire Lady From Outer Space. 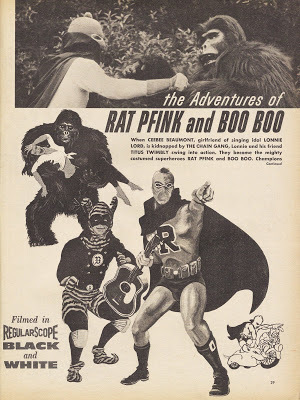 A crazy title is no guarantee of an entertaining flick, but Rat Pfink A Boo Boo obtained its odd moniker unintentionally and, for once, the sheer lunacy of the movie matches the name. Lonnie Lord is a multi million selling rock singer who likes to ply his trade on the street corners (it probably goes down easier if you don’t ask). 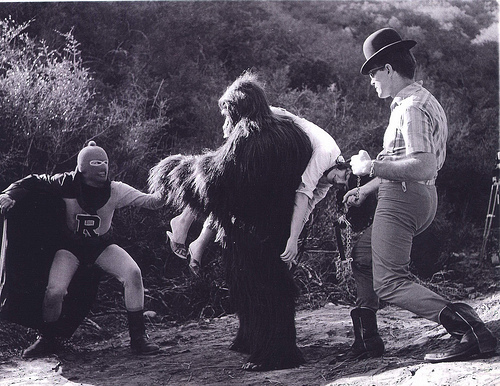 His girlfriend Cee Bee (Steckler’s wife Carolyn Brandt) is terrorized by the Chain Gang thugs. (Steckler seemed to get a thrill watching Brandt terrorized, because even after the two divorced he continued hiring her to play a perpetual victim). Midway through, the film switches gear and becomes a comedy with our heroes finally appearing as the title characters. 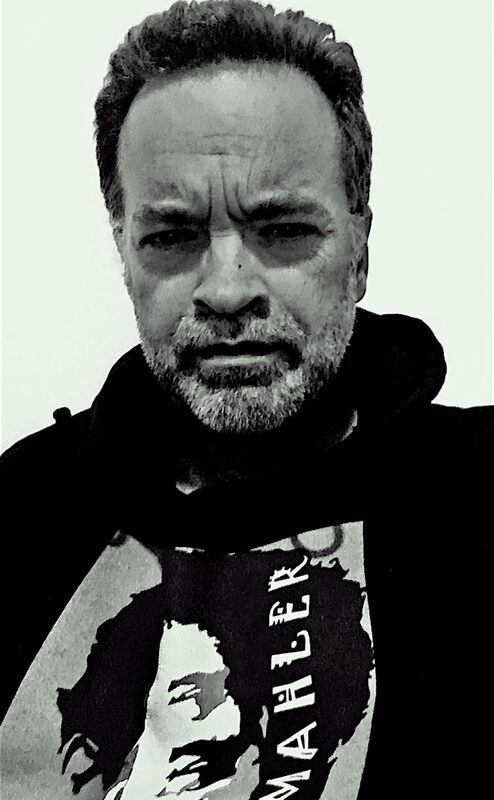 Throwing on ski masks and long johns, they chase the Chain Gang through the neighbors’ backyards (Steckler must have put on a hell of a barbeque). The final, elongated chase scene takes place in the middle of a local Christmas parade, which Steckler and his ragtag team crashed. The cherry on top of the icing on top of the cake comes in the guise of a guy in a gorilla suit showing up for the finale. Lack of money for a sound team necessitated all the dialogue being added in post-production. Predictably, it doesn’t always sync up and, upon hearing the dialogue, one might question their having gone to the trouble: “We have only one weakness: bullets. 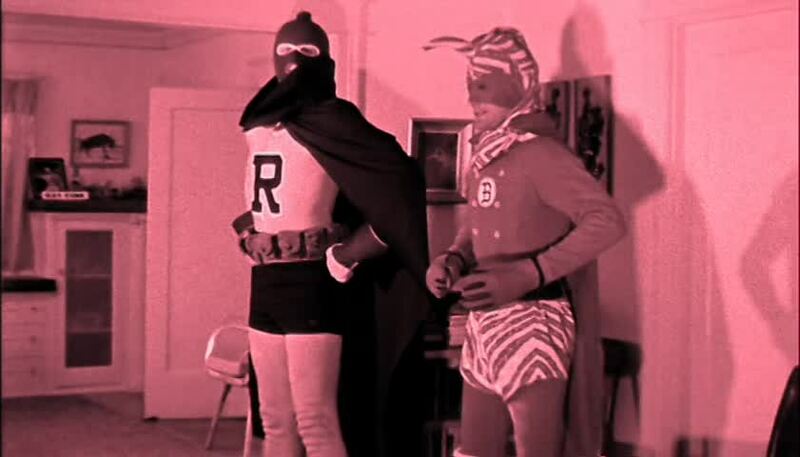 Let’s go fight crime.” The sound effects match the absurdity of the slipshod fight scenes. The weirdness level is even more off the meter since Steckler tinted the film, possibly as an homage to silent serials. Rat Pfink A Boo Boo is available in both black and white and the color tinted version, with a blue first half and orange second half. It actually makes the film stranger: impossible, but true. In a “making of” interview Steckler tells us that if we knew what he and his team had gone through to make the film, we would watch it 100 times. I don’t know if I have enough time in this mortal coil to throw a 100 more weird movie parties, but I will take Steckler at his word and try to make room for Rat Pfink A Boo Boo during the next one. This entry was posted in film review and tagged 1966, cult film, Ray Dennis Steckler by Alfred Eaker. Bookmark the permalink.